Pictured is East Coast Radio DJ Ricky with staff of African Roots. 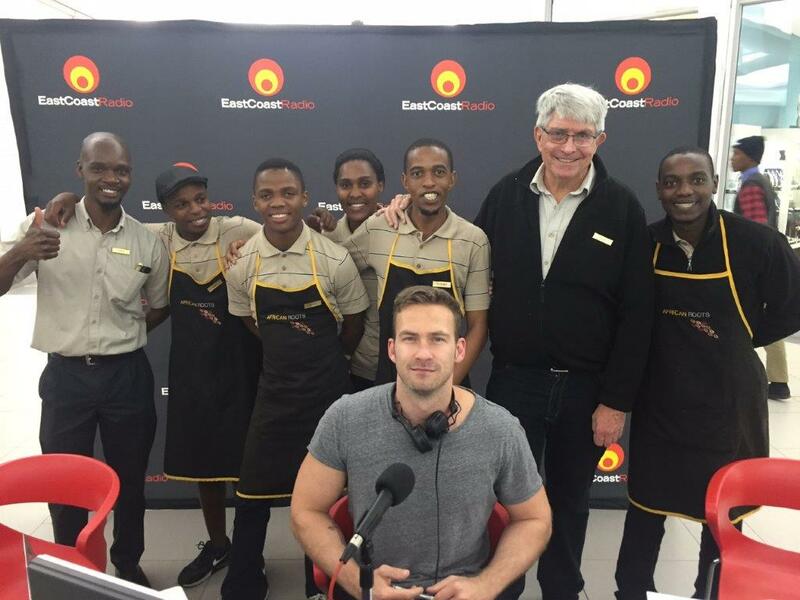 East Coast Radio on 23 September broadcast live from the Pearls Mall in Umhlanga with the SA Home Loans "Win a R100000 towards a House" Competition. African Roots Coffee proudly provided the breakfasts, lunch and beverages for this event for approximately 20 people.